I was lucky enough to receive one of these snazzy phones to review. First, I love the black and silver colors. It looks great in my office. The handset is very light weight, and the numbers of the keyboard and screen are both large and clear to read. The back-lit display makes it easy to see even in the dark. I learned almost immediately that the battery has a long life even when it gets left on the charger--this is a bad habit my tween daughter has so its an important feature for me. The volume can be adjusted to the perfect level for each individual's preference. Another feature I love is the ability to turn off the ringer. When the babies are sleeping or I'm working on my novels I don't like to be interrupted by a ringing phone. The answering system has lots of great benefits too. It stores up to fifty messages and you can replay them as many times as you need to. It also has a built it caller ID system so the name, number and time off the call are all listed on the handset. If you miss someone important, you will be able to go through missed calls and return them with just the click on a button. 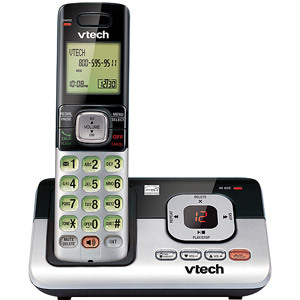 If you still use a land-line, the VTech CS6829 Cordless Answering System is a wonderful, affordable option. You can get yours on the VTech website or online at Walmartfor only $24.98. One lucky winner is going to receive the awesome VTech Cordless Answering System and a $100 Walmart Gift Card! To enter just fill out the rafflecopter form below Open to the US only. This giveaway will end on 9/13/13 at 12:01 am EST. The winner will be notified via email and will have 48 hours to reply. 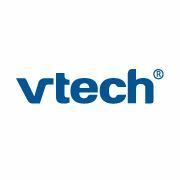 Thanks again to VTech Phones for offering this fantastic prize. Originally published on 2013-08-22 by Gabby Lowe at New Age Mama .